Giovanni Battista Piranesi’s “Campus Marius antiquae Urbis” features extraordinary cartography of ancient Rome. 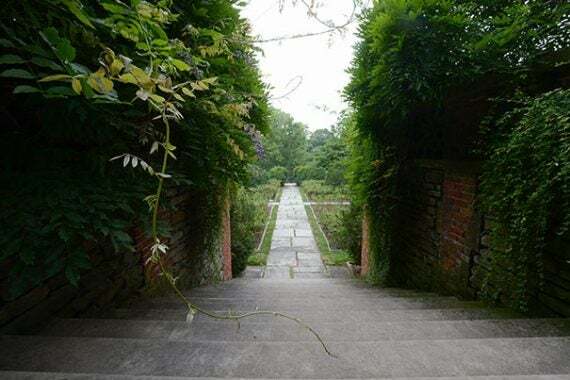 WASHINGTON, D.C. — The rich legacy of Dumbarton Oaks exists as much in its spectacular gardens as in the pages of the rare books kept inside the historic home. The distinct beauty of both settings has provided inspiration and substance for the forthcoming book “The Botany of Empire in the Long Eighteenth Century.” Led by Yota Batsaki, executive director, with co-editors Sarah Burke Cahalan, a librarian formerly at Dumbarton Oaks and now at the University of Dayton, and Anatole Tchikine, assistant director of garden and landscape studies, the project began as an interdisciplinary effort to “stretch the fields of study” at the Harvard research institute, nestled in the Georgetown neighborhood of Washington, D.C.
Decades ago, collectors and art patrons Robert Woods Bliss and Mildred Barnes Bliss transformed Dumbarton Oaks from a home into a research library and collection, making it a showcase and study space for their work in Byzantine, pre-Columbian, and landscape architecture. Gifted to Harvard in 1940, the original Federal-style house was expanded to include a museum (currently undergoing renovation) and rare-book library. Along with other buildings, including a large library, it is set amid 16 acres designed by the famed pioneer of landscape design Beatrix Farrand. The remaining 27 original acres comprise the public Dumbarton Oaks Park. The rare-book collections reflect the institute’s three major areas of research and teaching: pre-Columbian, Byzantine, and landscape architecture. 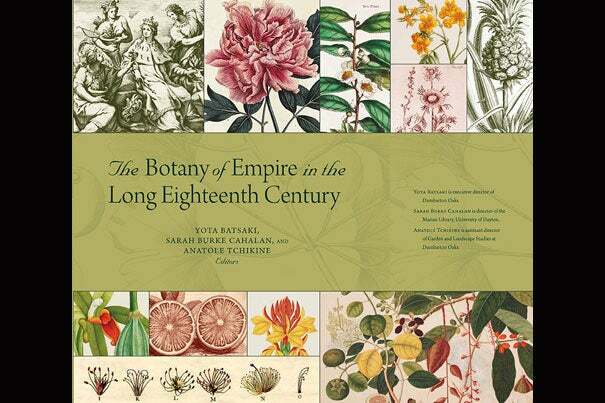 “The Botany of Empire,” which will be published this fall, grew out of a 2013 symposium celebrating the Rare Book Room’s 50th anniversary, which featured an exhibition of botanical works. The magnificence of the botany collection stems from the detailed illustrations that display the deep, varied history of what was one of the world’s most powerful economic, medical, and political industries. “Eighteenth-century botany anticipated what we would now call big science and big business. States and individuals invested heavily in expeditions, and botanical gardens were sites of experimentation. The combination of aesthetics and economics and science — for me, that was the most spellbinding aspect,” said Batsaki. The volume expands the understanding of imperial botany beyond Europe and the Atlantic by including empires that did not have overseas colonial possessions, such as the Russian, Ottoman, and Qing, and the Tokugawa shogunate as well as borderline regions like South Africa, Yemen, and New Zealand. “The 18th century is a period that’s fairly well covered, but most others deal with only the British, French, Spanish, and Dutch empires, and they were not the only forces around,” said Tchikine. A chapter on ginseng by Shigehisa Kuriyama, chair of the Department of East Asian Languages and Civilizations and Reischauer Institute Professor of Cultural History at Harvard, showed how a Jesuit account of Chinese ginseng published in Paris and read by a missionary in Quebec led to the unlikely discovery of the plant in North America. Matching the breadth of research were the enchanting discoveries among the rare books — newly found works and beautifully preserved ones. Photojournalist Randy H. Goodman returned to Iran after 33 years to see how life has changed for women since her visits to the country to document the hostage crisis at the U.S. embassy and the Iran-Iraq War.